Kelli Rogers began working for Walker Supply Inc. in June 2010 as a part-time Marketing Assistant and is now a full-time member of the Business Operations staff. Each day, Kelli works both internally with accounting, sales, and operations, as well as externally with new and existing customers. Jeff Carl joined the WSI Team in March of this year as part of the acquisition from Turf Trade. Jeff began his career in the family seed business, servicing farmers, landscapers, and golf courses throughout Pennsylvania and New York. The business was later sold, and Jeff found a position with LESCO in Lancaster as an Assistant Manager. His career continued as Branch Manager in Lancaster, Outside Sales Representative, and then Regional Manager. Jeff joined Turf Trade as a Salesman and Purchasing Manager and now continues this role with Walker Supply, Inc.
Barry started his career in the green industry as a Lawn Tech and eventually became the manager for a Spring Green Lawn Care franchise in Scranton, PA. Barry went on to open his own lawn care company, The Green Pros, which he operated in Scranton for 5 years. At a crossroads, Barry decided to try a different field. He sold his business and went through the Police Academy. Though he proudly graduated, his turf roots ran deep. Instead, he accepted a position as a Branch Manager with Lesco, Inc., which later became John Deere Landscapes, serving lawn care operators and landscape professionals for 18 years. 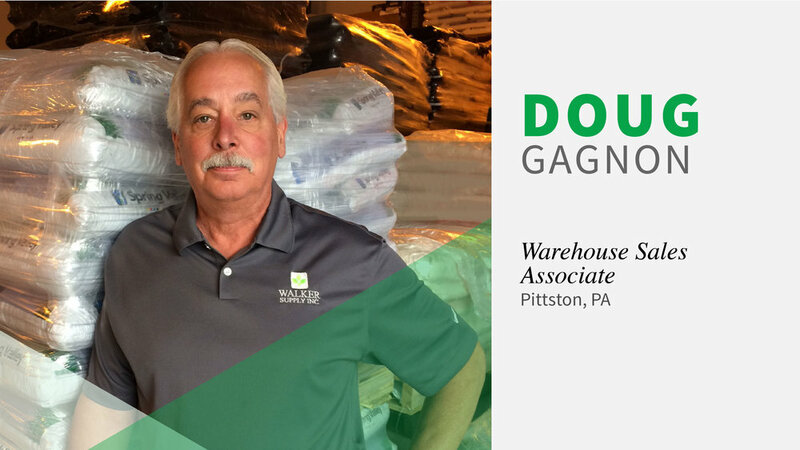 Wanting to work for a smaller company, where he would have a bigger input in day-to-day activities, Barry made the transition to become a Territory Manager for Turf Trade's Pittston office, one of the locations acquired by Walker Supply, Inc. in 2017. Michael Palermo became a part of the Walker Supply team in March of 2017 with the acquisition of Turf Trade. Michael has been in the green industry since 1989, starting out working for a local landscaping company in the Norristown area. In 1998, he became a certified spray technician for J Bill Landscaping and Irrigation, focusing on making residential and commercial lawns look their very best. After 7 years of pulling a hose and snow plowing, he decided that it was just time to use his brains, not his brawn. Mike is one of the newest members of the WSI team and joined us on February 1, 2017. Prior, Mike served as the golf course superintendent and general manager at Moon Golf Club for 11 years. He has worked in the golf business since 1994 and has achieved degrees from Ohio State ATI in Turfgrass Management and Point Park University in Business Management.